The Dog Box opened its doors in 2010 and is owned and managed by Natalie and her husband Wilhelm Binedell. They started with one mobile unit for dog grooming in 2010. They expanded by opening the doggy parlour in Melkbosstrand in 2013 and shortly after that in 2014 a second mobile unit was on the road. In 2009 Natalie completed her level 4 BTEC Professional Diploma in Business Management and Entrepreneurship. She obtained her Dog Grooming qualification in 2010 at the Dog Grooming College of South Africa. 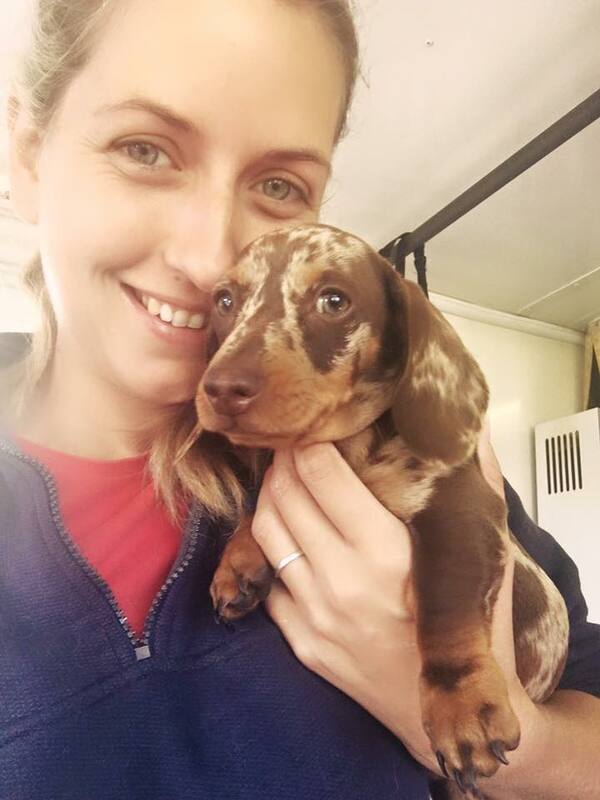 She has then furthered her education by completing an ABC level 3 certificate in hydrotherapy for small animals which she obtained in the UK in 2015 at Greyfriers rehabilitation and hydrotherapy centre. Her husband , Wilhelm , obtained a National diploma in small business management and marketing in 2005 at Cape Tech.